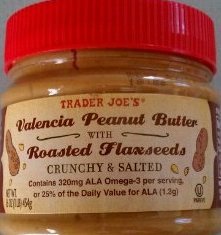 The importer, Transilvania Trading (Vancouver, British Columbia, Canada), is warning the public not to consume Trader Joe’s brand nut butters described below because the products may be contaminated with Salmonella bacteria. These products have been sold at Transilvania Trading (Pirate Joe’s), located at 3474 West Broadway, Vancouver, BC. There have been no reported illnesses associated with the consumption these products. 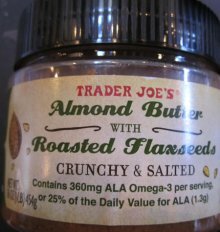 OTTAWA, September 25, 2012 – The Canadian Food Inspection Agency (CFIA) and Transilvania Trading are warning the public not to consume Trader Joe’s brand nut butters described below because the products may be contaminated with Salmonella. The importer, Transilvania Trading, Vancouver, BC is voluntarily recalling the affected products from the marketplace. The CFIA is monitoring the effectiveness of the recall. OTTAWA, le 25 septembre 2012 – L’Agence canadienne d’inspection des aliments (ACIA) et Transilvania Trading avisent la population de ne pas consommer les beurres à tartiner Nut Butters de la marque Trader Joe’s parce que ces produits pourraient être contaminés par la bactérie Salmonella. Ces produits ont été vendus par le magasin Transilvania Trading (Pirate Joe’s), situé au 3474 West Broadway, à Vancouver (Colombie-Britannique). L’importateur, Transilvania Trading, situé à Vancouver (C.-B. ), retire volontairement du marché les produits visés. L’ACIA surveille l’efficacité du rappel.